Description: The Internet brings opportunity and peril for media freedom and freedom of expression. It enables new forms of publication and extends the reach of traditional publishers, but its power increases the potential damage of harmful speech and invites state regulation and censorship as well as manipulation by private and commercial interests. ways with different goals in mind. 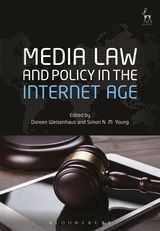 The media law reforms they are adopting or considering contain crucial lessons for those forming their own responses or who seek to understand how technology is driving such rapid change in how information and opinion are distributed or restricted. In this book, many of the world’s leading authorities examine the emerging landscape of reform in nations with variable political and legal contexts. They analyse developments particularly through the prisms of defamation and media regulation, but also explore the impact of technology on privacy law and national security. Whether as jurists, lawmakers, legal practitioners or scholars, they are at the front lines of a story of epic change in how and why the Internet is changing the nature and raising the stakes of 21st century communication and expression.